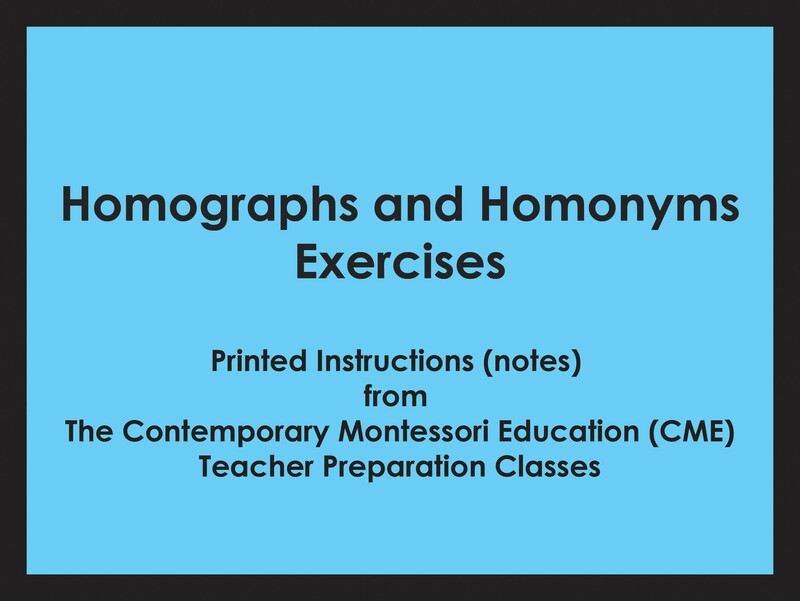 Step-by-step CME printed instructions for this Montessori Language activity may be ordered only on this webpage. The charge for this printed material is non-refundable. While these notes serve as accurate and detailed guides for the Montessori presentations, they are not intended to substitute the live presentations offered in Montessori training courses by professional instructors.